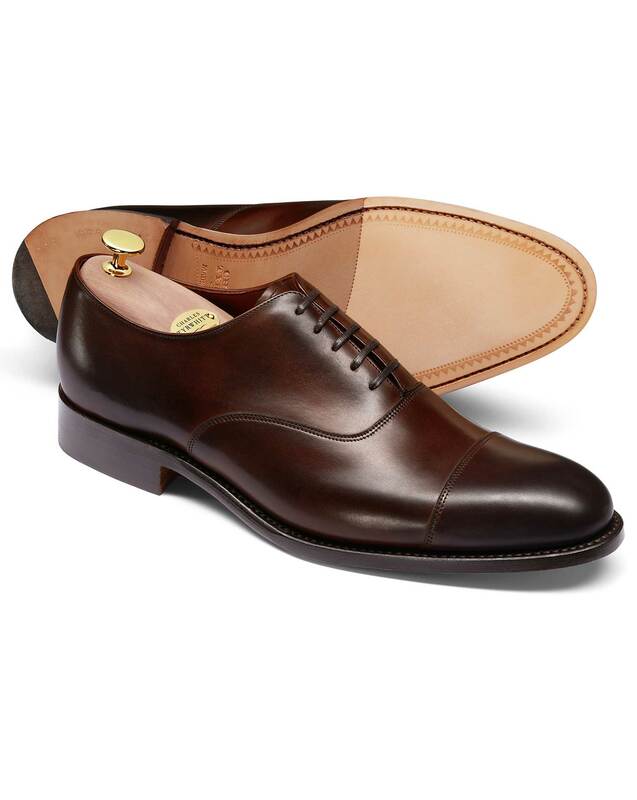 "I know I tell you to ‘Start with a Proper Shirt’, but these phenomenal Oxford shoes are making me wonder why I didn’t become a cobbler rather than a shirt maker… They’re made in England from proper leather by proper artisans with absolutely proper techniques. Have we just turned into ‘The Home of Proper Shoes’?" "Timeless Oxford shoes; handmade in England from the finest buttery calfskin with hardwearing Goodyear-welted soles that can be repaired." Footwear lasted in England means it has all the quality and know-how in its make. Wear confidently and proudly. Our Goodyear Welted shoes have a tough strip of leather sewn around the shoe to secure the upper to the sole. This makes the shoe more robust, durable and water resistant. It also means the shoe can be completely re-soled if necessary, giving you years of wear out of a single pair. In use since 1869, the Goodyear Welted method is favoured by English manufacturers and copied by shoemakers all over the world. Hi- speck shoe well made, yet the quality can sometimes let it down. Quality of shoe excellent although slightly tighter fit than expected even though I ordered a wide fit. Great quality and comfortable after only a short time wearing them in. Excellent colour. The fit is snug but perfect and will get better with wear. These shoes were my second pair. Too difficult and expensive to repair the old pair. I which CT offered a repair service for their own shoes. I'll start lobbying for this!